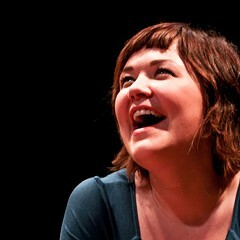 Steppenwolf's 1700 Theatre revives Evan Linder's searing play. Evan Hanover Evan Linder and Jeffery Owen Freelon Jr. 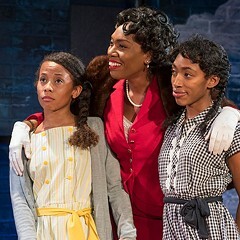 Through 8/21: Thu-Fri 8 PM, Sat 2:30 and 8 PM, Sun 2:30 PM, Steppenwolf Theatre, 1700 Theatre, 1700 N. Halsted, 312-335-1650, thenewcolony.org, definitiontheatre.org, $30. Steppenwolf's new 1700 Theatre works perfectly for an early remount of this past winter’s world premiere of Byhalia, Mississippi, a critically acclaimed coproduction from the New Colony and Definition Theatre Company. 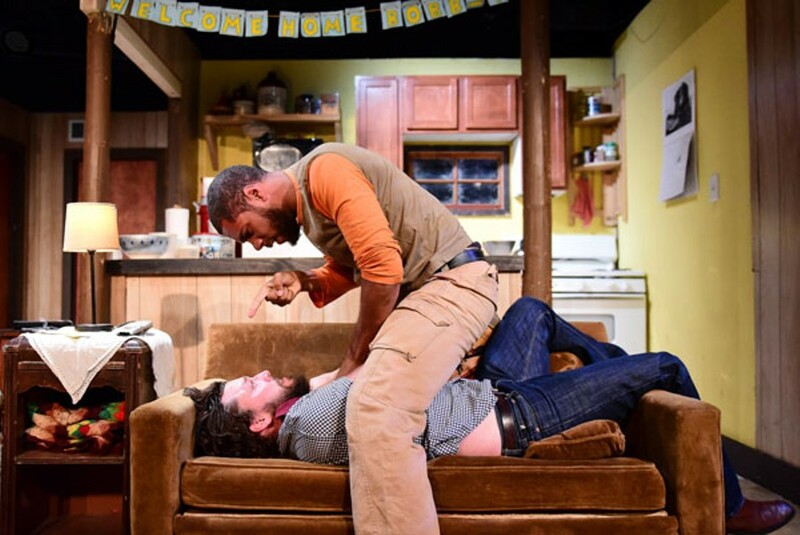 It has the same black-box intimacy as the opening venue, Wicker Park’s Den Theatre, with the potential of exposing a new audience to actor-playwright Evan Linder’s multilayered southern drama, directed by Definition’s Tyrone Phillips. While it doesn’t come until the second act, Byhalia smartly offers broad historical context to enhance the telling of the highly personal story of Jim and Laurel Parker, “proud white trash.” In their small town, a decades-old but all-too-familiar police shooting of an unarmed black man spawned boycotts followed by racial tensions that never really died. Byhalia’s backstory is eventually revealed by scorned wife Ayesha, played by a powerful Kiki Layne, and it explains the local roots of a disturbing strain that weighs heavy on personal relationships throughout. The show opens with an exasperated Laurel, played by Liz Sharpe, asking her overbearing mother, Celeste (Cecelia Wingate), to head home because she’s making Laurel’s unborn and overdue child afraid to come out. Their interactions, both hilarious and heartbreakingly raw, set the tone for a play built on truthful portrayals of imperfect, messy people. After scenes of baby talk, foot rubs and careful discussion of a past indiscretion on Jim’s part, the couple—seemingly on the mend and in love—head to the hospital for a birth nobody, not even Laurel, seems to have anticipated. The baby is black. Watching Jim accuse his loyal best friend, Karl (Jeffery Owen Freelon Jr.), who's also black, of being the father proves to be the first of many shockingly real moments that rear their ugly heads throughout the play. None of these characters are bad people, but Jim’s immediate, violent reaction—and Celeste’s cold command that Laurel get rid of the baby—expose just how much we’re all products of our environments, for better or worse. In a moment rife with shame and judgment from those she loves most, Laurel nevertheless finds strength thanks to a healthy mix of self-reflection and just not giving a damn. Her mistake made her who she was meant to be, she says—mother to her son. She might not know what she’s doing most days, but she declares her intention of standing her ground. Her house will only have two rules, she vows: love and honesty. Correction: The photo caption of this article has been changed to correctly reflect the name of the actor who plays Karl. It is Jeffery Owen Freelon Jr., not Jeffery Morgan Freelon Jr.
And together they provide two perspectives on black women’s lives, written by black women. 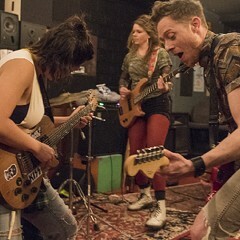 Grant James Varjas's new play is a band rehearsal in real time—and it gets really loud. 'Tis the season for the Bard and the bawdy. 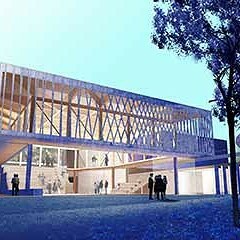 As A Doll's House plays in the city, Writers Theatre's new Jeanne Gang-designed facility goes up in the burbs.